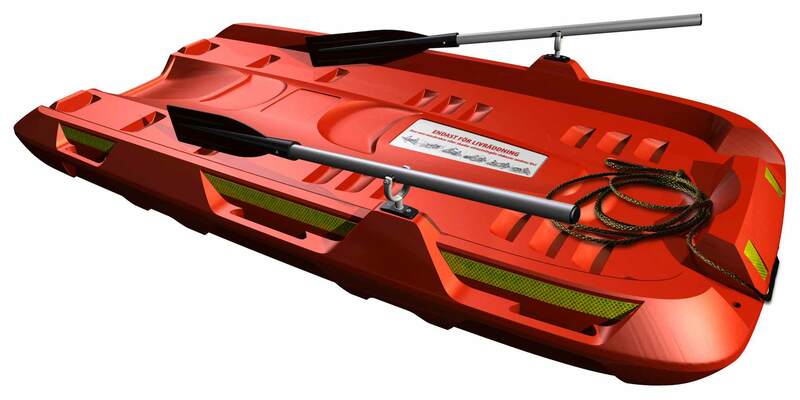 Our new all-aluminium rescue ladder is a practical tool especially designed for lifesaving by the water. 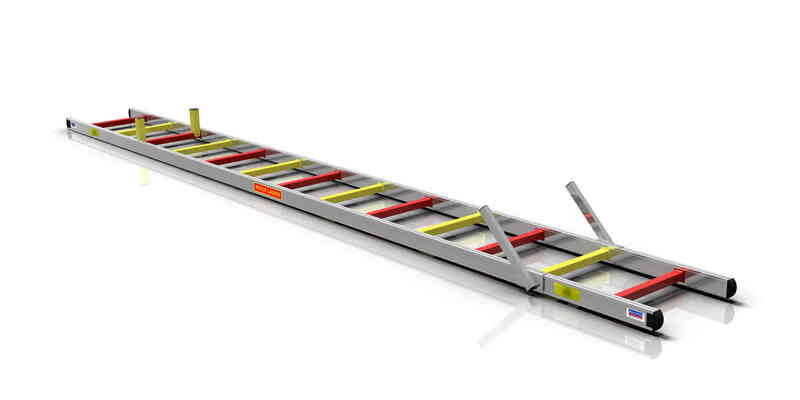 We have developed the folding ladder, with cast handles and reflectors. 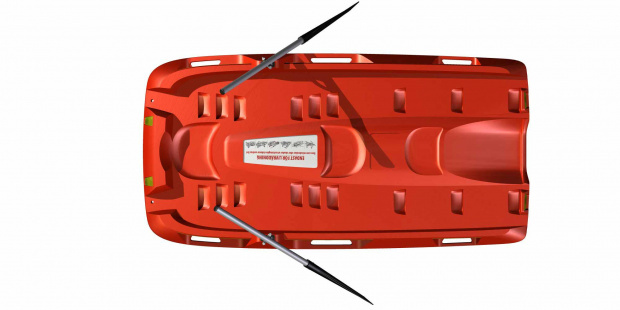 The new design makes the rescue raft easy to use. It is possible to initiate CPR immediately after emergency rescue. The environmentally friendly polyethylene construction makes it rigid and sturdy in tough conditions. 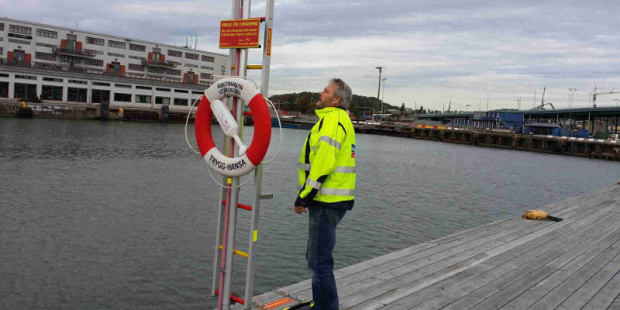 Our stands and stations are built to enhance safety by the water. 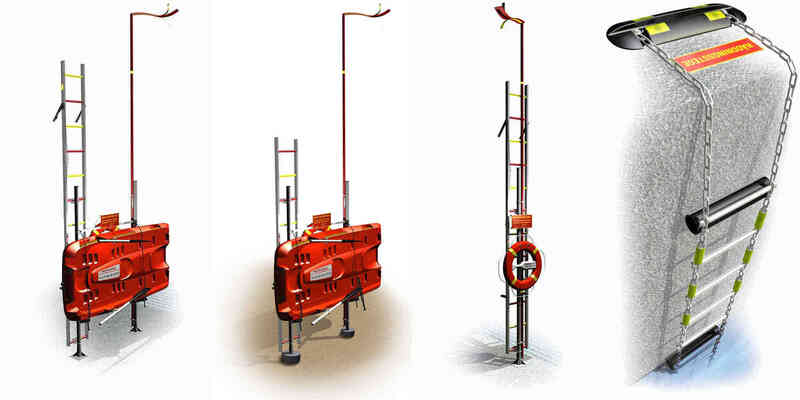 They are delivered as complete packages and ready for mounting on quays, bridges or beaches. Have you already decided which products you want? Need to update the stock? To place an order, click the "Order now" button below, or contact us by phone or mail. 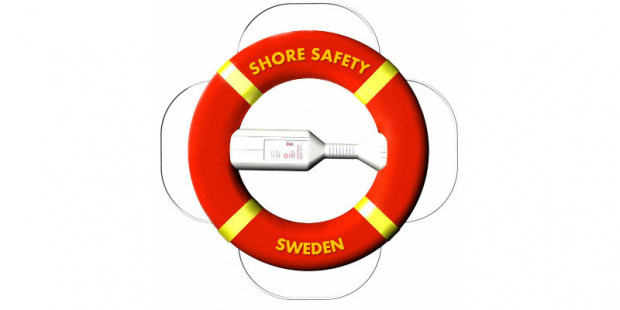 Shore Safety develop, manufacture and market lifesaving equipment and peripheral services for environments by the water. The products are of high quality and have high functionality. 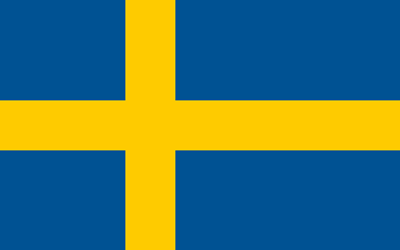 Our customers are mainly based in the Nordic region and we use Swedish subcontractors. 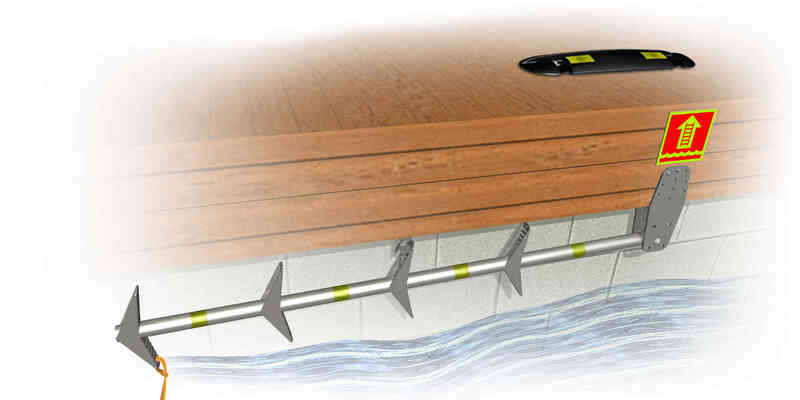 Environments by the water can be very hazardous and require constant supervision. With our unique service “Safe Waters”, we can help with regular inspections of your facilities.